Railpictures.ca - Michael Berry Photo: CN 2102 & NS 3623 are the power on CN 324, approaching Turcot Ouest with 43 cars to interchange with the NECR in St. Albans, Vermont. | Railpictures.ca – Canadian Railway Photography – photographie ferroviaire Canadienne. 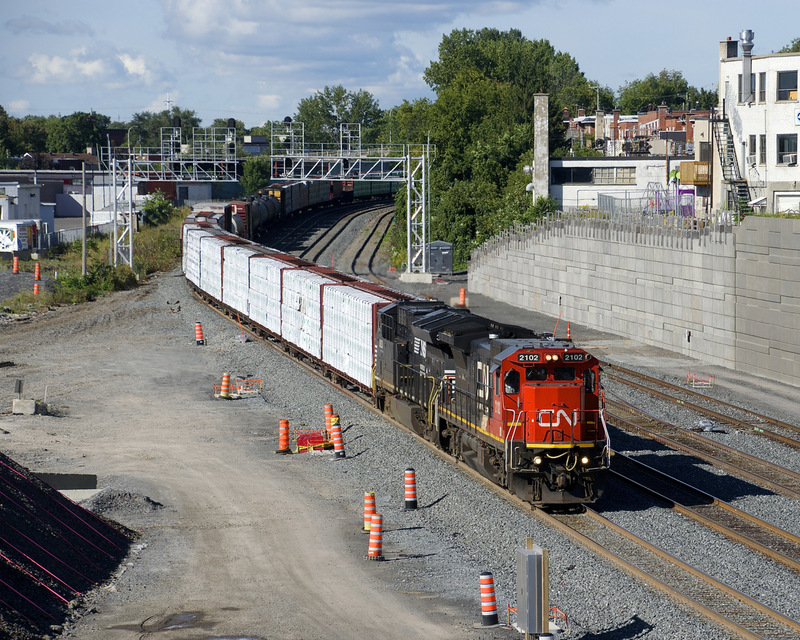 Caption: CN 2102 & NS 3623 are the power on CN 324, approaching Turcot Ouest with 43 cars to interchange with the NECR in St. Albans, Vermont.